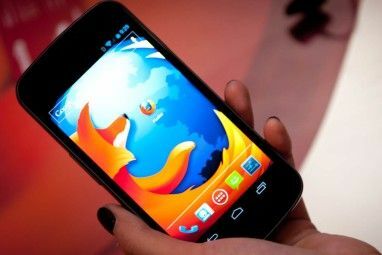 Mozilla’s Firefox was the browser that really brought the idea of extensions to the front, enabling users to customize their web browser to the hilt. There are already some fantastic Firefox Add-ons The Best Firefox Addons The Best Firefox Addons Firefox is famous for its extensions. But which addons are the most useful? Here are the ones we think are best, what they do, and where you can find them. Read More and meanwhile, Firefox itself got a lot better with Firefox 35, which introduced the new video chat Firefox Hello Meet Firefox Hello Video Chat & Firefox Marketplace In The New Firefox 35 Meet Firefox Hello Video Chat & Firefox Marketplace In The New Firefox 35 Firefox 35 introduces a cross-platform video chat service called Firefox Hello, lets users beta-test the new Firefox Marketplace, and also bakes in social sharing on the web. Read More , as well as Firefox Share and Marketplace. But as always, the spotlight is on what developers did with the open-source browser’s flexibility. The list of Firefox add-ons just got bigger and better over the past year. Popular Chrome extension Imagus was recently ported to Firefox. This extension lets you hover over any thumbnail to see a large-sized preview of the image without opening it in a new tab. Imagus is quicker and lighter than some of the older add-ons to preview images in Firefox 3 Great Addons To Preview Image Thumbnails in Firefox 3 Great Addons To Preview Image Thumbnails in Firefox Browsing image search engines has been the major source of inspiration to me. It is amazing how much creative work is stored and searched online.This post will hopefully make your web image searching and browsing... Read More . You know that the big sites are tracking how you use the Internet, but you can prevent that with extensions to improve privacy and security Use These 6 Extensions To Improve Privacy & Security On Firefox Use These 6 Extensions To Improve Privacy & Security On Firefox You are being watched on the Internet – but if you use Mozilla Firefox, some of its great add-ons can help protect your privacy and security on the Web. Read More . The Electronic Frontier Foundation, a consumer protection group for technology, has recently launched its own add-on, which blocks all uniquely identifying cookies. There are some great Virtual Proxy Network (VPN) services The Best VPN Services The Best VPN Services We've compiled a list of what we consider to be the best Virtual Private Network (VPN) service providers, grouped by premium, free, and torrent-friendly. Read More , but few are as easy as ZenMate. It started off as a Chrome extension and an Android app, but now you can get it on Forefox too, and use it for creative purposes like watching region-restricted content 5 Refreshing Uses For A VPN 5 Refreshing Uses For A VPN Read More and securely surfing the Web in a cafe. Firefox has no shortage of add-ons to manage your tabs Organize Firefox With These Superb Tab Management Tools Organize Firefox With These Superb Tab Management Tools Multiple tabs are a common reality to modern web browsing. It doesn't take long at all before you have a good number of tabs open, and that's natural. However, despite the great convenience that tabs... Read More and there’s even a built-in group manager, but Tab Groups Helper is a little different. Its purpose is to make lists based on your currently opened tabs. Choose a list and Tab Groups will hide the other tabs, eliminating distractions. And you can quickly switch between lists with the keyboard shortcut Alt+[number]. You have a single browser window, but each tab might relate to a different task. Tab Colors lets you add a background colour to each tab, so that you can assign one colour to tabs of a certain task, making an easy visual board of what you need to check. It’s one of those “Where has this been all my life?” extensions. You open a YouTube video in a new tab, continue browsing your current tab, and suddenly you hear it autoplaying in the background. Annoying! Teach Firefox some manners with Open Link In Silent Tab, which makes the browser pause loading new pages until you switch to that tab. One of the best ways to keep Firefox from getting unbearably slow How To Keep Firefox From Getting Unbearably Slow How To Keep Firefox From Getting Unbearably Slow I don’t like Firefox. I think it is a monolithic, huge, heavy browser, and its XPI-based architecture feels slow and dated. Firefox is more flexible than other browsers like Chrome but it also gradually slows... Read More is to kill tabs you aren’t using. But that means you will lose those tabs, which might not be what you want. Instead, use Tab Grenade to kill those tabs, but at the same time turn them into a list. The list has all your tabs, ready to be opened, and you can go about using Firefox without it being sluggish. When you want to focus on one part of a web page and nothing else, Fokus is what you need. Select text, activate Fokus and it will put a translucent black cover on the rest of the page, instantly highlighting the selected part. It has limited practicality in everyday use, but it’s fantastic for presentations and screen sharing. Some add-ons, like UI Eraser, help to let you make Firefox look however you want These Add-Ons Let You Make Firefox Look However You Want These Add-Ons Let You Make Firefox Look However You Want Make Firefox look however you like. Whether you want something to create space, a dash of colour, or to bring back the old Firefox look, there's a theme or extension out there for you. Read More . UI Eraser isn’t about adding elements, it’s about deleting them. If you don’t like too many options in the right-click context menu, UI Eraser can remove them. If you want to remove a toolbar somewhere or take out an entry from the main menu, no problem. It has issues with Firefox 35, but the developer is actively updating the extension to address all problems. Don’t want a download taking up bandwidth while you browse? No problem, Download Plan lets you schedules links to be downloaded at a later time. You get to select the time that Download Plan will run, as well as the folder to save your data in. What’s not to love here? Not all add-ons are safe and you need to manage your extensions 3 Chrome Extensions To Manage Your Chrome Extensions 3 Chrome Extensions To Manage Your Chrome Extensions Google Chrome has many extensions that work for you. But just like any collection of workers, when the force gets large enough, you need to get managers to make sure everything is running smoothly. Read More . In fact, mischievous elements even use add-ons as a way to gain access to your computer. Thwart these attempts with Extension Defender, which scans your add-ons for adware, spyware and malware. The new version of Google Chrome comes with a handy Profile Switcher button to quickly change between different profiles. Firefox also lets you use multiple profiles How To Use Firefox Profiles & Run Multiple Firefox Profiles At Once How To Use Firefox Profiles & Run Multiple Firefox Profiles At Once Firefox stores your browser data – bookmarks, history, preferences, extensions, and everything else – in a directory known as a profile. Each user account has a single profile by default, but you don’t have to... Read More , but switching is a pain. Profilist creates a simple option in the main menu where you can switch with a click. Facebook’s new chat stickers want to replace emoticons Facebook Chat Stickers: What Are They & Should You Use Them? [Weekly Facebook Tips] Facebook Chat Stickers: What Are They & Should You Use Them? [Weekly Facebook Tips] When you chat via instant messenger clients, do you add smileys? Do you also like to add other emoticons to let people know when you're hungry, bored, stressed and the rest? If so, you'll probably... Read More , but they can get annoying—especially because of their large size. Don’t like them? Unsticker.me will remove all the stickers from your FB. Simple! What’s Your Favourite New Firefox Add-on? Tell us what your favourite new Firefox add-on is; the one new extension which now has a place of pride in your toolbar. Does anyone know about an addon like tab colors, and not stratiform? Neither of those addons work for me. Thanks for Tab Grenade, great one! I love those. I am using BrowseC instead of Zenmate. Prefer using actual VPNs as they tunnel all your data through the VPN server and encrypt it. Although I mainly use mine for unblocking streaming websites like HULU. So far best steaming VPN I found to be https://zoogtv.com. Dont forget: "I don't care about cookies" for removing stupid EU law cookie notices. Also forgot "uBlock" to replace "adblock plus". Much lighter on the cpu as well. Thank you for this article. I learned something today! I use the BlueHell Firewall to block ads and for security purposes. Though it isn't new, this still better than adblock and/or other security addons. Hmmm I'll have to check out BlueHell. I love the new uBlock, waiting for it to come out of beta on Firefox! According to the reviews, Tab Color doesn't save the colors, so when you restart Firefox, they're all gone. Completely useless add-on therefore. It's not useless at all. It's meant to organize tabs in a single session, not as a permanent tab organization solution. Well I do not agree with you green. I have 15 add- ons and FF is not slow at all!. The problem must be on your side. Let us not forget that that a lot also depends on your device how FF operates.
" I have 15 add- ons and FF is not slow at all!." Good for you. However, there thousands of others for whom FF IS slow. Besides, why have Mozilla incorporate add-ons into FF and take a chance on making it into a wallowing pig? You have to put addons in to improve performance. I use things like refreshblocker and flashstopper, very effective. Firefox is more customizable & flexible & responsive & userfriendly, IMO, than the other browsers, but it might crash & freeze a bit more. However, I find Explorer horrible because you have to constantly search for basics like retrieving the last closed tab, which in Firefox is right at the top of the page. Explorer gives you a pathetic history folder, while Firefox hides nothing & gives you everything. However, as of Oct. 11, 2016, they did an update that took away all my add ons, and it's taking me all week long to replace them. Not happy about that. They've never done such a Microsoft type heavy handed nuking before. But now, they're all doing it, think they can boss you around. Even Thunderbird. Google is tyranical, and so is Microsoft. Back to the first subject, once I put in enough addons, I didn't have to mess it with it anymore, and Firefox stopped freezing & crashing, completely stable & easy & nice & smooth. Just identify the problem & find an addon fix, and voila, it'll work nicely. You have to put addons in to improve performance. I use things like refreshblocker and flashstopper, very effective. Firefox is more customizable & flexible & responsive & userfriendly, IMO, than the other browsers, but it might crash & freeze a bit more. However, I find Explorer horrible because you have to constantly search for basics like retrieving the last closed tab, which in Firefox is right at the top of the page. Explorer gives you a pathetic history folder, while Firefox hides nothing & gives you everything. However, as of Oct. 11, 2016, Firefox just did an update that took away all my add ons, and it's taking me all week long to replace them. Not happy about that. They've never done such a Microsoft type heavy handed nuking before. But now, they're all doing it, think they can boss you around. Even Thunderbird. Google is tyranical, and so is Microsoft. Back to the first subject, once I put in enough addons, I didn't have to mess it with it anymore, and Firefox stopped freezing & crashing, completely stable & easy & nice & smooth. Just identify the problem & find an addon fix, and voila, it'll work nicely & permanently. You should take a look at these two addons which are pretty useful. The SPDY Indicator 2.2 addon lets you know right in the Firefox address bar if the website loads faster than other websites that don't use it. I hadn't checked out SPDY indicator before this, seems nice. Thanks for the recommendation! FEBE Is Perhaps The Most Useful Extension I Have Ever Seen. It Allows, Among Other Features, To Backup All Extensions, You Are Already Using, As Individual .XPI Files. B - Search For Updates, To Use The Most Recent Version. 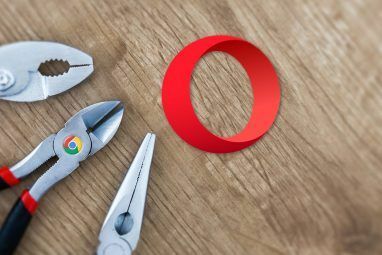 Do You Know If There Is Any Extension, That Works Like FEBE, But For OPERA15+ Or CHROME, That Can Save Individual Extensions As .NEX Or .CRX Files ? I don't think there's anything similar for Chrome, but since Chrome is anyway only accepting extensions from the Web Store now, it shouldn't matter, right? ( Because Of This, My Main Browser Is Not CHROME Anymore, I Use OPERA15+ ). B - CHROME Has A Lot Of Clones, OPERA15+ Being One Of Them ( The One I Am Using Right Now Because CHROME Screwed Power Users ) - Most .CRX Files Are Compatible With OPERA15+, And Their Policy Regarding Extensions ( For Now, Anyway ) Has The Old Liberal Drive Todays CHROME Should Have Kept Somehow Allowing Old Options For Power Users. I have several addons installed on FF right now. I consider all of them essential, but I would not want ANY rolled into FF. It's already bloated enough, and I like making the decision myself on what is 'imperative'. I use none listed in your comments and I won't be picking any up after reading this list. Having them integrated would only make my FF slower; not more useful. Fair enough, green. But if it's not going to impact performance, that would be fine, right? I would like to mention the Priv8 add-on. Basically no need to have profiles. This add-on sandboxes each websites on FF. So if you have for example multiple email accounts you can open them all at the same time with Priv8. It works like a charm. An alternative to profilist is profileswitcher. I use it to great satisfaction. I hadn't heard of Priv8 before this, will check it out. Thanks for the recommendation! While some of the add-ons listed are really good, I feel that Firefox should really integrate some of them in the forthcoming versions of FF. Add-ons like Silent-tab, Privacy-Badger, Tab Groups helper, Imagus, Download Plan are so imperative, I think 50% of FF users must have installed at least one of them . Couldn't agree more. And it's not like they're super-hard to code, it would be easy for the FF guys to build them into the browser. 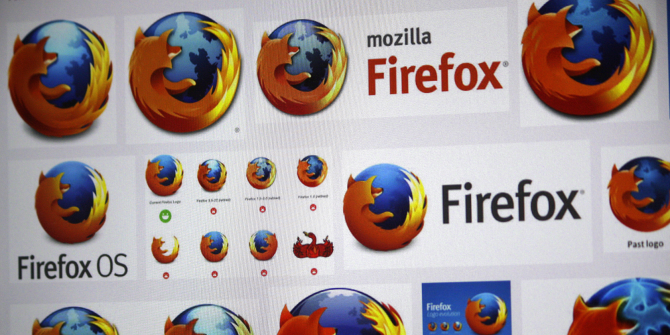 "I feel that Firefox should really integrate some of them in the forthcoming versions of FF. " What of the users that do not want them? 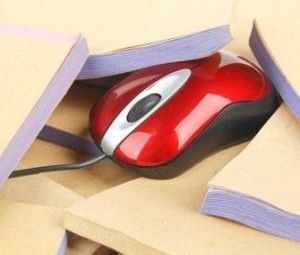 Will they be able to uninstall the unwanted add-ons? I think FF should be left as it is right now. Add-ons should be "opt-in", not "opt-out" for two reasons: 1) not everybody uses the same mix of add-ons and 2) FF should not be burdened with code that will slow it down. If a user is comfortable with a slow-performing FF, he can install all the add-ons he wants. Just as an example, out of the 13 add-ons in the article, I only use Privacy Badger. There is very little chance that I will ever install any of the others. Onetab for firefox is a much better alternative to tab grenade! Agreed, OneTab is great, but I wouldn't call it a better alternative to Tab Grenade. It's pretty much the same thing! Girish probably meant Video Downloadhelper. While all these add-ons are useful, (I use Privacy Badger myself) it must be remembered that adding more and more extensions will expand Firefox's memory usage and slow it down. Before someone points out that "a few extension won't make a difference", I refer you to the poll MUO ran some time ago on how many FF add-ons people use. If memory serves, most respondents had between 100 and 200 add-ons installed, with some having over 300 installed. Things have gotten so bad that add-ons to organize add-ons have been created. 19% of responders had more than 20, while 5% had more than 50. While my numbers were a little off, my point remains - too many extensions slow down Firefox. That's the problem with statistics, you can bend them, spin them and mutilate them in many ways to prove anything you want. Lies, damn lies and statistics. You may be thinking of a poll regarding the number of open tabs. Even then, Firefox for Win32 tends to get crashy once its RAM footprint exceeds 2GB. Which is a good argument for using Palemoon or Waterfox instead. On the other hand, I managed to exceed 9GB RAM utilization browsing nothing but Imgur.com on Chrome last week, with just 14 tabs open and only three of them actively doing anything. The only Chrome Extension I have installed is Adblock Plus. "You may be thinking of a poll regarding the number of open tabs. " You may be right. Thanks for jogging my memory. Ghostery? Really? It should be already well known that an advertising company owns this extension, and since there were some sources (Google for "A Popular Ad Blocker Also Helps the Ad Industry" - don't know if links are detected as spam), then it should be clear that this isn't trustworthy at all. Better use Disconnect, it's EVEN open source! It's also the same story with Adblock Plus. Behind your back they are selling expensive ad exceptions, and yet they are pretending everything is so cool and open source and we are the good guys. In this case you can use the non-corrupt version valled Adblock Edge. @TestUser - Adblock Plus's exceptions are trivially easy to turn off. There are a number of other Adblocking tools available, but there's really no greater burden for un-checking the box for "Allow no-obtrusive advertising" than for adding the Warning Removal List subscription. Also, Adblock Plus for Internet Explorer is one of the few filtering applications that works well for legacy versions of IE. It's much easier for me to tell others to install ABP in every browser on their PC than to suggest Adblock Edge for Firefox+ uBlock for Chrome + whatever third thing for IE. I had to remove Ghostery because it made most pages load incorrectly.